ITCenter Rally Raid Portuguese Championship. 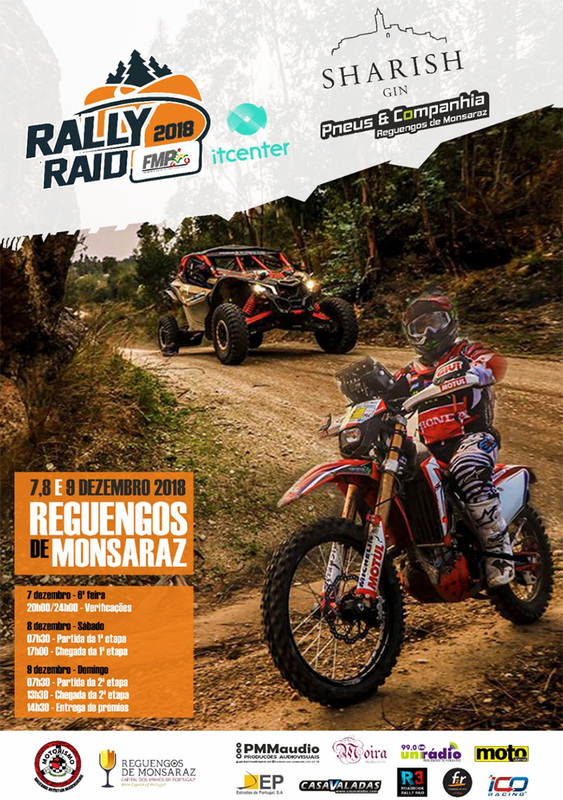 Registrations open for CNRR Reguengos de Monsaraz Sharish Gin - Pneus e Cª, the fifth and last race of the 2018 Portuguese Rally Raid Championship, sponsored by ITCenter. To participate in the Championship, open to motorcycles, maxitrails, quads and SSV, competitor has to register in Race category, which requires a sporting license and will include timed sections. To obtain a sporting license, contact your Motorcycle Federation or FMP ( fmp-live.pt/contactos ). The Promo category, reserved for riders with no relevant racing results or international career, has the same characteristics as Race and scores for an FMP Promotion Trophy. Finally, the Hobby category scores for a Challenge, and will be classified only by the navigation correctness, dispensing sporting license. For more information contact the Organization. Scrutineering, Race Office and Paddock: Parque de Feiras - Reguengos de Monsaraz.